They are a A West Cork three-piece, who love making music… with a story. Irish singer-songwriter Rhob Cunningham has set his sights on the Southern Cross. His debut album, under the moniker Our Little Secrets, brought him to prominence on the airwaves in 2010, introducing his lyrical style and melodic scope. “Songs to rouse and sooth” – The Irish Times. Having since recorded albums in Iceland (with Bjork / Bonnie Prince Billy producer Valgeir Sigurdsson), Berlin, Paris, Nashville, and Vienna, he is finally coming to perform under Australian skies, opening for Wallis Bird on her March 2019 Tour. 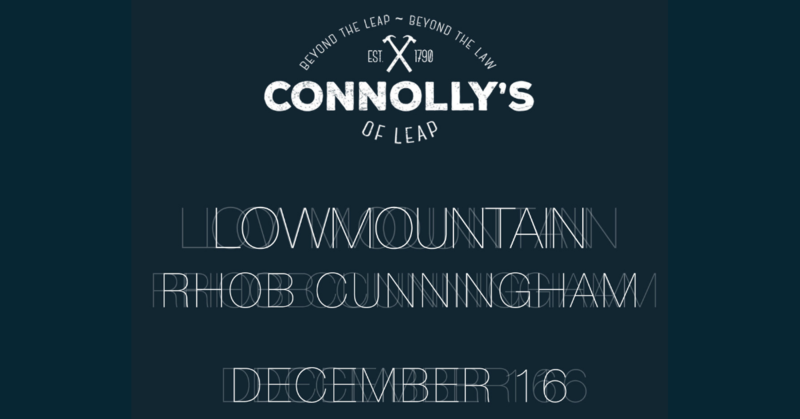 Cunningham has collaborated and performed with much of the current crop of Irish talent. and James Vincent McMorrow, live and in studio. opening for Gil Scott-Heron, John Martyn, Bobby Womack and Tori Amos to name a few. Autumn 2018 was spent playing a 7-date US/Irish tour with Australia’s talented folk act All Our Exes Live In Texas and, come March, you can catch him gracing the stages of Melbourne’s Northcote Social Club, Brisbane’s Old Museum and The Factory Floor in Sydney.